My problem/irritation is that I have 80GB free of my 440GB volume. The question: is there a way to silence this notification in a (semi-)permanent fashion, or to change the threshold it uses for the notification? Commands: removeAllNotifications - Removes all scheduled and delivered user notificiations. I didn't look too closely at but it is possible setting the last warning date to a date in the future would also prevent the alert displaying. Note: Use start to start again or list to see the details (e.g. its PID). I think this notification is a bug. I have 760GB free on my drive (a 1TB drive) and still get this same notification every morning since upgrading to Sierra. 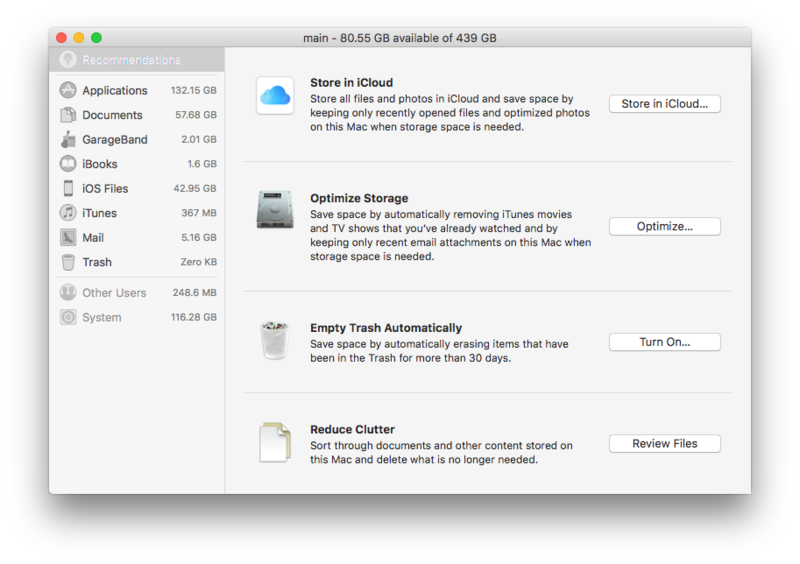 I enabled Optimize Storage (but not Store in iCloud). Turning on Do Not Disturb mode for notifications will silence the "Your disk is almost full" notifications. There is a downside as this will silence all notifications. This will not help with the underlying issue of your disk being too full if it is in fact too full. Additionally, you may need to turn Do Not Disturb on again. 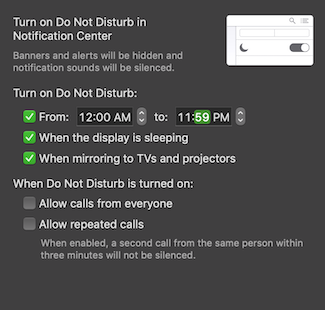 It looks like it may be possible to get it remain on for all but about one minute of the day, but I'm not sure the developers intended Do Not Disturb to be used continually. Not the answer you're looking for? Browse other questions tagged notifications disk-space sierra .